As a Welsh farming family we know all about the local country life and are always happy to help and inform you about the Lleyn - like the best pubs, restaurants, local attractions and the loveliest walks such as the one from the farm through the forest to Hell's Mouth and the Plas y Rhiw owned by the National Trust. The farm as been in the family for 40 years and my husband and I have been farming Bronllwyd for the past 20 years. 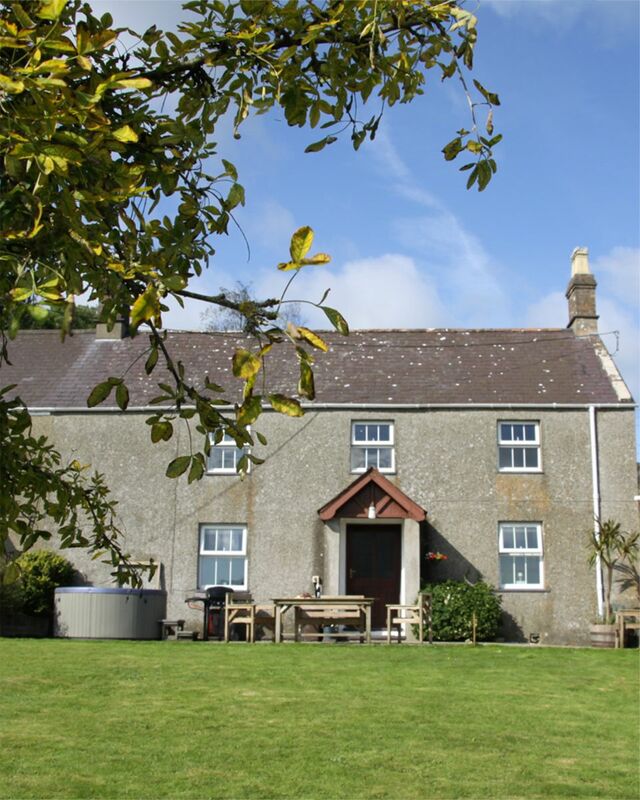 Bronllwyd is a beef and sheep farm overlooking the four miles of sandy beaches called Hell’s Mouth, with fantastic views across open fields and distant mountains. Lambing takes place during the spring from February to April with silage making and calfing in the summer. Although we welcome pets we do however take the following small precautions of not allowing pets in the house unattended, not allowing them on the furniture or in the bedrooms. Like all good dog owners please remember to clean up after your pet. Thank you. There is a £20 charge for each dog. Thank you for visiting our web site, and we look forward to meeting you in person as our guest. We hope that you found what you were looking for. Alternatively please feel free to contact us.